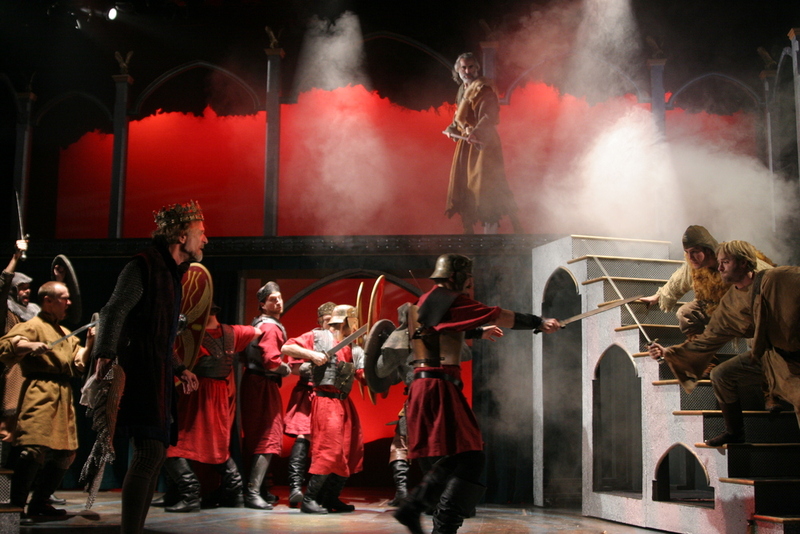 I was afforded a choice between two shows to direct this season, and the decision was easy, once I had read Cymbeline. The opportunity to direct a rarely-produced play with such rich language, entertaining characters, and as many “undiscovered countries” as Cymbeline had to offer was not to be resisted. 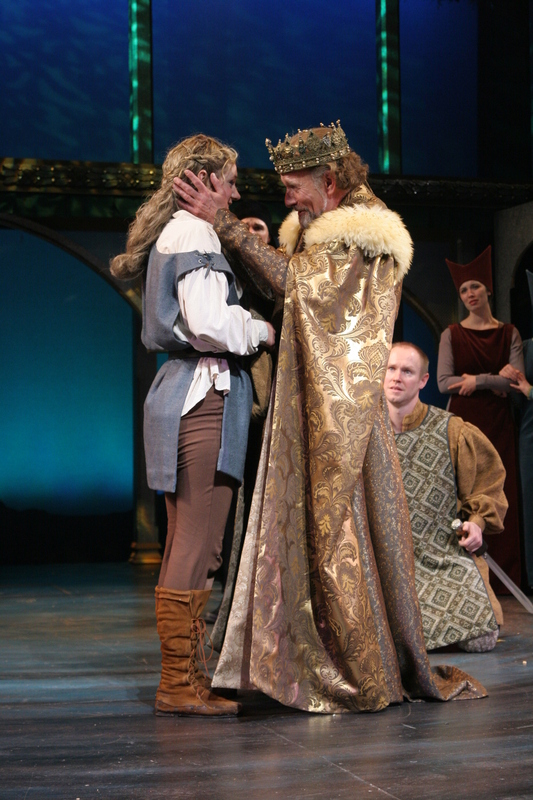 Cymbeline is one of the last five plays Shakespeare wrote. Dated 1609 or 1610, it is considered his early experiment in a new genre of plays now termed “The Romances.” Preceded by Pericles in 1607, Shakespeare's work in this form culminated in The Winter's Tale in 1610 and in his masterpiece, The Tempest in 1611. All of these plays embrace elements of comedy and tragedy and all have similar motifs: families reunited after separation and suffering; recognition scenes in which characters re-encounter each other in a state of wonder; oracles, dreams, revelations, and gods; the finding or re-claiming of one's self. The main plot of Cymbeline is one with which Elizabethan audiences would have been very familiar: a man wagers on his lover's chastity and is fooled, he orders her death (which is prevented by wise and faithful servant), and is finally reunited with her. It had been popular for centuries in various forms and languages. The most popular version Shakespeare drew from when writing Cymbeline was Boccaccio's Decameron, also a minor source for The Winter's Tale. There are many important themes explored in the play; Appearance vs. Reality; The Restorative Power of Nature vs. the Oppressive Court; Forgiveness and Reconciliation; the influence of the divine. All are delicately and interwoven throughout, and days could be spent exploring just one. The theme of Appearance vs. Reality, for example, abounds, for in Cymbeline, nothing is as it seems, and almost anything can happen. 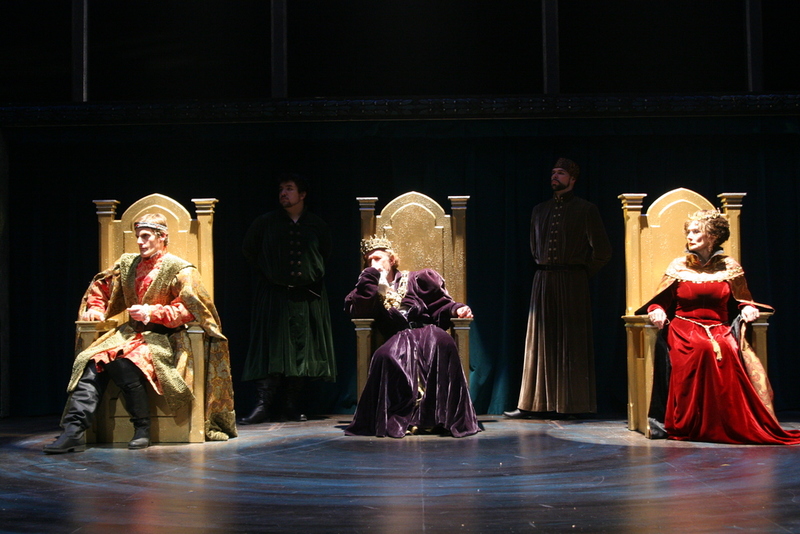 Equal time could be spent on exploring the play's similarities to the style of the fairy-tale. In Cymbeline we are given sundered lovers, a wicked step-mother and sleeping potion—and that is just the first scene. Like Snow White, Imogen, the heroine of Cymbeline, is forced from home by a step-mother, takes refuge with mysterious strangers, and becomes their housekeeper. She endures a virtual death through the afore-mentioned potion, and is finally reunited with her handsome lover. Though Snow White was not written down until the 18th century, its resemblances to Cymbeline are uncanny and have caused speculation that the story was in oral circulation for centuries before. Attention is often drawn to the amount of favorite and “recycled” plot devices Shakespeare employed in the writing of the play (a kind of Shakespearean-greatest-hits), including long-lost sons, a cross-dressing maiden, mistaken identities, and a banished lover. The language has been called rich but “often clumsy,” leading a number of critics to hypothesize that Shakespeare collaborated with a less-talented playwright. Some feel that in Cymbeline, Shakespeare was creating a mere pastiche of his previous work, a self-parody of sorts. I disagree. O for a horse with wings! Hear’st thou, Pisanio? 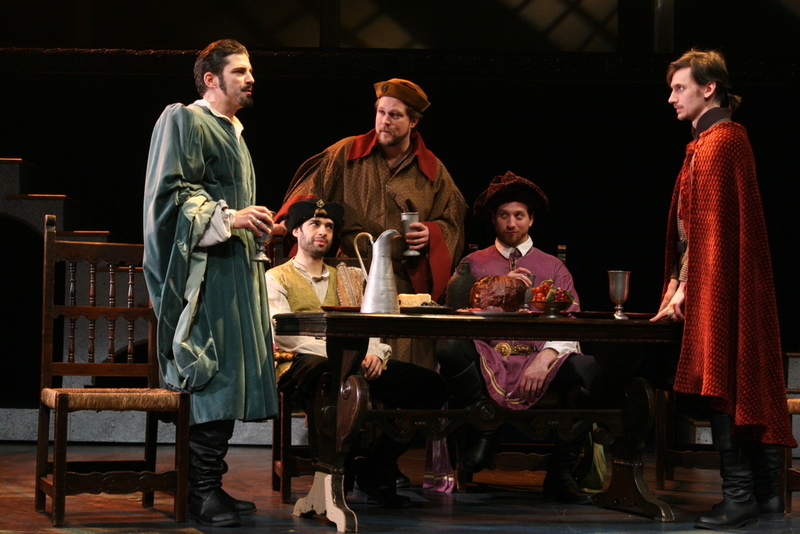 Regardless of one's thoughts on the play; whether it is fully Shakespeare, or whether it is one of his greater or lesser works, one cannot deny the beauty of the play's ultimately positive outlook on the universe: it demonstrates that despite everything that goes wrong in our lives—the struggles we endure, the sadness—things often have a way of working out in the end. The good triumph over the wicked and those who have suffered greatly can be happy again. We can right wrongs, overcome obstacles and be re-united, reconciled and forgiven, even by those against whom we have committed the worst offenses.